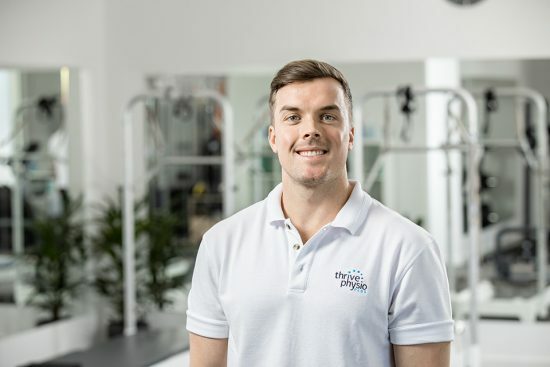 The passionate and proud co-owner of Thrive Physio Plus, Luke has returned to his hometown of Adelaide after living and working in Melbourne expanding his knowledge with some of the country’s most elite and well-respected therapists. Luke is an extremely knowledgeable Physio with a keen eye for detail. He places a strong emphasis on giving you the tools for self-management, and will be sure to address factors contributing to re-injury. Highly experienced in the area of headache and migraine, he recognises the need for hands-on treatment when appropriate and with some of the best hands in the business, he gets great results. Trained in Pilates and an avid gym goer himself, he’s a fervent believer that exercise is medicine. 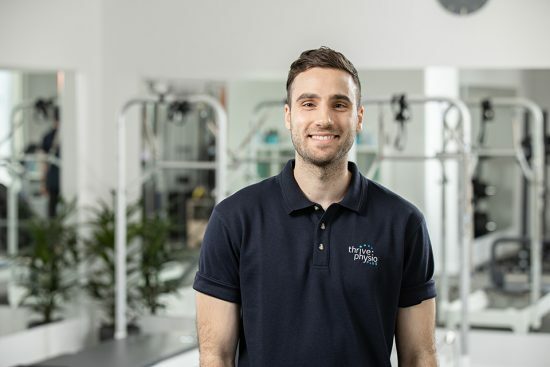 Meet Giancarlo, the enthusiastic co-owner of Thrive Physio Plus and a highly skilled and experienced Physio. From time spent working with highly acclaimed performing artists, he knows what it takes to get people performing at their best. He has also spent considerable time working with renowned manipulative physiotherapists to provide excellent outcomes for those with spinal dysfunctions. Giancarlo recognises that pain isn’t just tissue and bone and there are often other factors contributing to pain. He advocates a holistic approach to your physical journey and is a firm believer that if the pain’s not going away, you can’t go wrong with getting strong. Trained in Pilates and a functional fitness enthusiast, he has the tools to get your body feeling its best. Meet Stefanie, a warm and knowledgeable Physiotherapist with a strong passion for helping people live a pain free life and reach their physical goals. Stef has widespread experience working with sporting teams around Adelaide and is strongly equipped to take you through the stages of rehabilitation necessary to help you reach your physical best. As a keen Pilates and group fitness participant herself, she places a strong emphasis on getting strong and robust to combat musculoskeletal pain with an active approach to management. With a special interest in womens health conditions, she’ll ensure you receive a specific and tailored approach to treatment in a care-focussed manner. 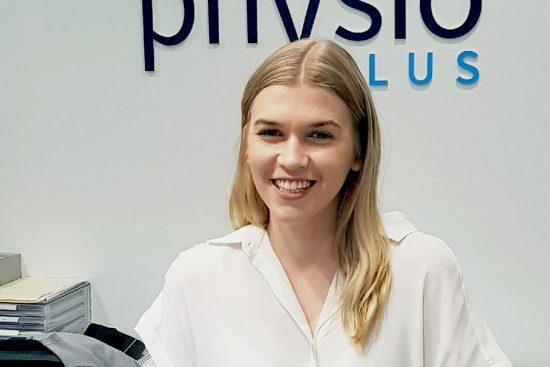 Rosie has a kind and bubbly personality, and is passionate about helping others; a passion which has been her ultimate motivator for becoming a Physiotherapist. She has worked closely with a number of sporting teams, assisting people of all ages and needs to reach their full potential. This has led to her keen interest in sport and musculoskeletal physiotherapy. Coming from a background of health and well being, Rosie enjoys spending time in the gym and understands the importance of improving strength and mobility in managing musculoskeletal issues. Rosie strongly believes in patient empowerment, and will go above and beyond to help you achieve your goals and function at your best. 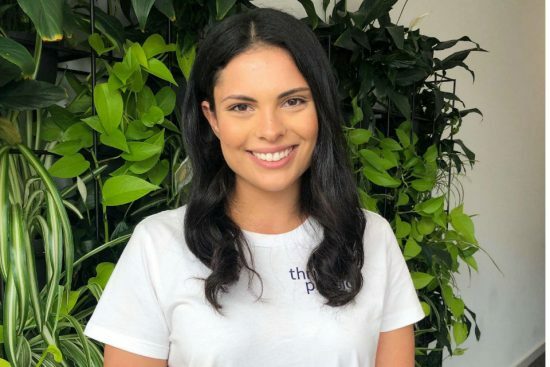 Meet Nicole, the Client Experience Officer at Thrive Physio Plus. Nicole is passionate about health and wellbeing and ensuring your experience with us is a memorable one. She comes from a strong customer service background, is outcome driven and motivated to go above and beyond to deliver exceptional experiences. Away from work, you’ll find Nicole expressing her creative side via art, yoga, baking and DIY projects. Nicole is the backbone of operations of our clinic to ensure everything is running as it should, when it should. Expect warm and friendly interactions and efficiency with a smile. 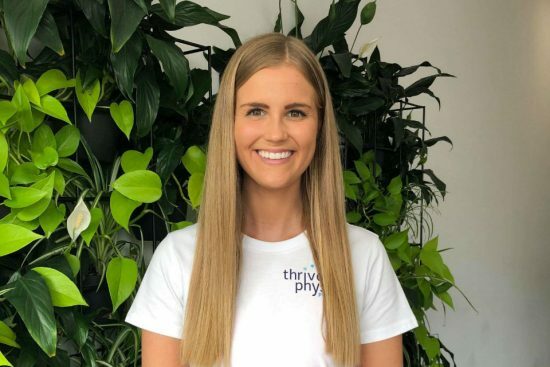 Meet Lizzie, one of the friendly faces to greet you at Thrive Physio Plus. 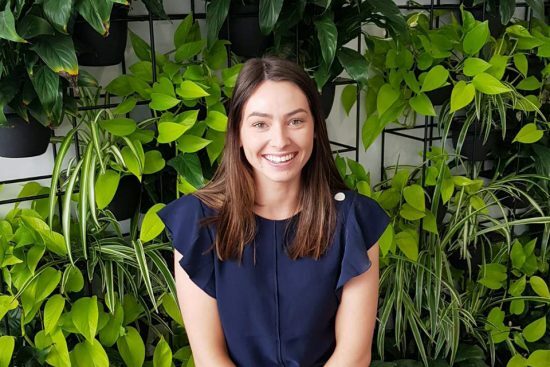 Lizzie is studying a double degree in journalism and psychology at the University of South Australia and is a lover of all things sport related. She comes from a strong background of distance running and Pilates which has led her to recognise the importance of great Physiotherapy in keeping you fit and active to do the things you love. Lizzie’s other interests include writing and media and she is keen to pursue journalism on completion of her University degree. She’ll be on deck to answer any and all of your questions, and to ensure your overall experience at Thrive Physio Plus is a fabulous one. We always welcome the opportunity for like-minded people with a passion for the physiotherapy profession to join our team. Get in contact with us via email at admin@thrivephysioplus.com.au and if we don’t have anything available, we’ll keep your application close by for when something pops up.